Red Mountain Ranch is a beautiful master planned community located in northeast Mesa near Thomas Road between Recker and Power roads. Red Mountain Ranch is made up of about 1600 single famiy homes and townhomes. There are several enclaves of neighborhoods, some which are gated. Many homes boast excellent mountain and city light views because of the higher elevation and the proximity to the Tonto National Forest. 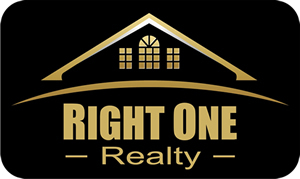 Homebuilders that have built homes in Red Mountain Ranch incude Richmond American, Saddleback Homes, Continental, Ryland, UDC plus many custom builders. Many homes in Red Mountain Ranch would make excellent vacation (lock and leave) seasonal properties because of the low maintenance desert landscapes. Some of the yards are taken care of by the home owners association. 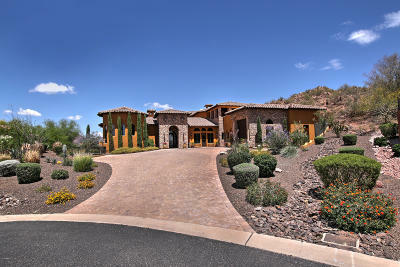 There is even a gated townhome community called Rock at Red Mountain with its own heated community pool and spa. If you enjoy being active, you will love Red Mountain Ranch. 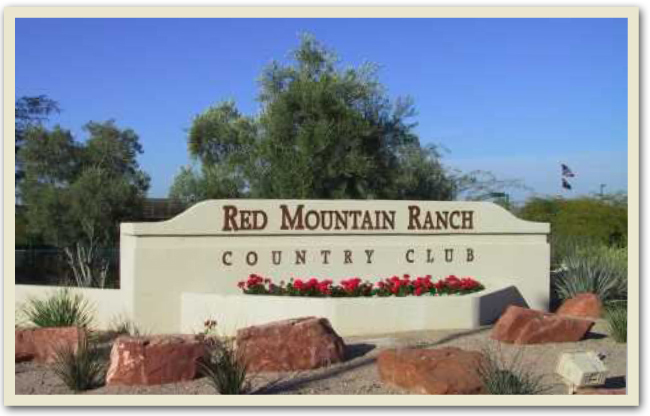 Right in the middle of the neighborhood lies Red Mountain Ranch Country Club. In addition to the 18-hole championship golf course designed by world-renowned architect Pete Dye, members enjoy the state-of-the-art golf learning center and practice facilities, full-service pro shop with PGA instructors, 6 lighted Tennis Courts, a complete Fitness Center with cardio & weight machines, free weights, fitness & aerobic classes, and a Jr. Olympic Swimming Pool with snack bar. The spacious Clubhouse offers a variety of dining, meeting & event venues from casual to elegant, along with a full slate of member events and activities guaranteed to please the palate and appeal to your sense of fun. Red Mountain Ranch is also adjacent to the Tonto National Forest and some of the best hiking and mountain biking trails in the Phoenix area. If you enjoy boating or fishing, Saguaro Lake is just an easy 10 minute drive.